Futterman, Lanza & Pasculli provides experienced elder law and estate planning with main offices in Bay Shore and Smithtown with offices also in Valley Stream and Southampton by appointment. The firm is committed to helping the elderly, individuals with disabilities, and their families. Whether you are concerned for yourself, your spouse or an aging parent, we can help you. Futterman, Lanza & Pasculli, LLP helps families prepare for both the present and the future through the use of Last Wills and Testaments, Living Trusts, Powers of Attorney, Living Wills, Health Care Proxies and Medicaid Planning. 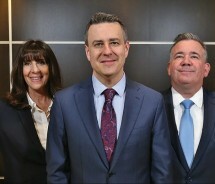 Our attorneys have devoted their career advocating for the rights of elders, including those with dementia or cognitive impairments, children with special needs, and veterans. Contact Futterman, Lanza & Pasculli, LLP to schedule a consultation. Our attorneys provide on-site visits and in office consultations.